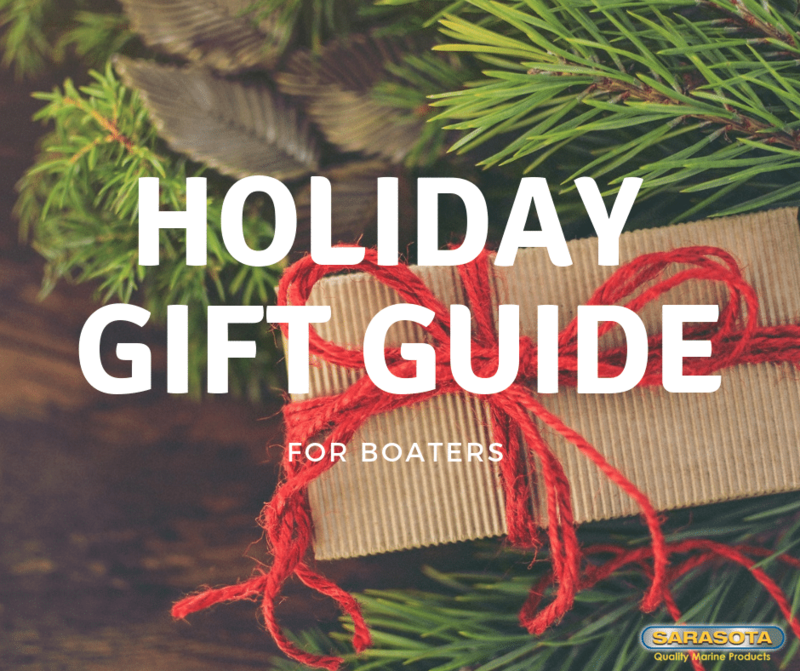 Looking for a special gift for the boater in your life this holiday season? Whether you’re shopping for a serious angler or a casual cruiser, we’ve got you covered. Our holiday gift guide will help you fill their stocking with storage gear products each priced under $20. Quickly secure cargo with the ease and convenience of the cargo claw. 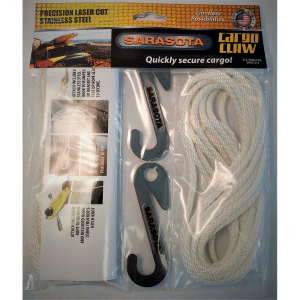 Each package includes two cargo claws and two solid braid nylon ropes. The cargo claw has an ultimate tensile strength (UTS) of 250 lbs, while the rope has a minimum breaking load (MBL) of 825 lbs. Save your rope, don’t cut your rope. Use Cord Claw instead of cutting your rope. Simply take up the slack to shorten rope/cords. Place rope/cord into jaws. Grip rope/cord and tighten to desired length. Use on ends to tie cut cords. 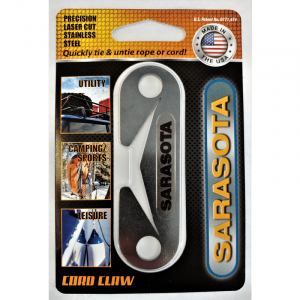 Works great for securing your boat fenders (bumpers) to boats to quickly raise, lower, stow or move. Eliminates the need for knots. No more cutting your rope when it is time to remove your rope. Quickly tie paracord with clips, not knots. Precision laser-cut aerospace-grade titanium. Save time, don’t tie your paracord. 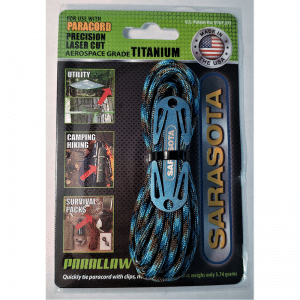 Use Paraclaw instead of tying your knots in your paracord. It can be used for securing boat tarps. Looking for more gift ideas for the fishing or boating enthusiast on your list? Check out our full online catalog. Is your boat less than 26 feet? Does it have outboard motor power and rest on a trailer? If you said yes, beware – you could be a target for theft. A newly released study that looked at five years of BoatUS Marine Insurance claims files shows that 75 percent of all boats stolen matched this description. With the long winter lay-up period nearing, BoatUS has five tips to make your boat harder to steal. Just one lock? Try another, and another. You simply can’t have enough. The whole goal is to make someone else’s boat more attractive than yours, so the more locks a thief sees – on the trailer tongue, outboard engine, or used with chain around the trailer wheels – the better the chance he’ll move on. Don’t leave the key on a stored boat. Never assume your key’s hiding place is so good that thieves won’t find it. Remember, that’s what these people do for a living. Make the trailer impossible to move. A removable tongue hitch, or, better yet, removing the trailer tires if the boat’s going into long-term storage turns your rig into 1-ton dead weight. The little things can help, too, such as not parking your boat in the driveway with the hitch facing the street. Consider using removable trailer lights – with most thieves working the nightshift, they want to avoid attracting the attention an unlit trailer would cause. Don’t stick out. You may want to think twice about hanging a “for sale” sign on the side of your boat. Use a full winter cover to hide attention-getting, splashy graphics. Store all valuables, removable electronics and paperwork at home during the off-season. Check out new anti-theft technologies. Devices that send alerts to your cell phone, take photos/video, provide tracking, or kill the motor if your boat moves from its virtual boundary can stop a theft in its tracks. Once a boat is gone, the BoatUS study finds that only one in 10 vessels are ever fully recovered. Nothing is foolproof, but here is an example of newer technology that can make it more difficult for expert thieves to rip you off. Our patented Key Captain Boat Remote Locking System protects valuables inside your boat’s compartments with just one click using our remote, waterproof key fob. It allows you to lock all boat compartments simultaneously. And it works the same as your vehicle remote key fob that locks and unlocks doors. Store your rods and electronics in boat compartments and you’ve made it more difficult for an ill-intention passer-by to steal from you. 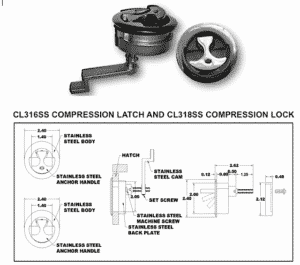 Looking for a Stainless Steel Boat Lock and Latch? Then you are looking for our latest 2 inch compression lock and latch which are watertight, so liquid won’t get in. Polished stainless steel, with a mirror finish, gives it an updated look. It also makes it more durable. 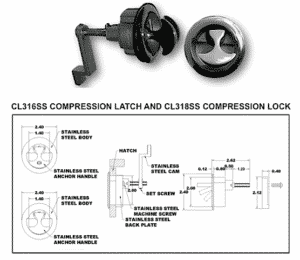 CL318SS was designed specifically for those heavily used hatches. An exclusive feature of this product is the adjustable cam with set screw that saves you production time unlike bulky dual lock nuts. It’s also easy to use. The lift handle operates compression motion of cam. Pull up to allow handle to seat in vertical position and cam shaft extends down to ease tension on the cam and framework. Push handle down to seat flush and horizontal in housing and the cam shaft pulls upward to tightly position the cam against the framework. What’s worse than returning to your boat at night and having to fumble around to turn on the lights? In the process, you probably stepped on something and broke it. This is a common complaint among boaters and especially professional fishermen. That’s where the Key Captain remote boat locking system for your boat’s storage compartments comes in. Not only does it offer the convenience to lock your boat with one-click, but it also allows you to do the same with your deck or cabin lights. If you have 8,10, 12 or even more compartments, it becomes increasing more beneficial to you to lock them all at once, providing a sense security. The system’s control panel is a permanently sealed and tamper-proof unit with a coding technique that protect it from unwanted interference. The transmitters are designed for marine use. Additional transmitters are available that can be added and programmed by the user. The system’s unique sleep mode results in low power energy saving operation, which saves battery life. The Key Captain Customizable System can also control the engine trim up and down with the touch of a button. You can use another button to turn on and off the boat lights, radio, bilge blower, and air conditioning from up to 300 feet away, before you board. This ensures that your boat will be cool on a hot day and the cabin lights on at night when you return to it. Many pro bass fishermen and pro walleye anglers have used the Key Captain system on their boats because of the convenience and security. Watch Pro Walleye Angler Joe Okada and Pro Bass Angler Shaw Grigsby discuss the Key Captain. 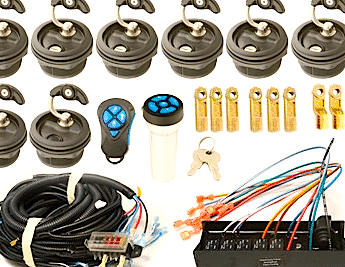 Remote locking and control systems for boats have arrived. 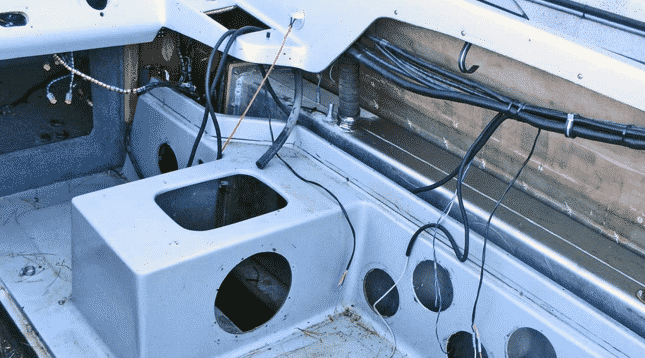 Groundbreaking technology is the reason for the the new remote boat locking and control system called The Key Captain (also called Sarasota Electric Lid Latches custom option). The Key Captain custom option provides anglers with a level of convenience and security that has only been dreamed about in the past. Find out what Edwin Evers thinks about this new remote boat locking system. The components of the Key Captain. The Key Captain System’s control panel is a permanently sealed and tamper-proof unit with a coding technique that protects the unit from unwanted interference. The transmitters are designed for marine use, and additional transmitters are available that can be added and programmed by user. The system’s unique sleep mode results in low power energy saving operation, which saves battery life. It’s also available as an aftermarket product for existing boats. Shaw Grigsby gives his personal recommendation on the Key Captain. Call us for OEM order information: 440-899-9820.